On the subject of property maintenance, your property management plan should include major appliances. Quality appliances will attract renters to your Bothell rental properties while presenting as a substantial future expense. When appliances are not properly maintained, they may fail faster and require replacement more frequently. There are some simple points that landlords and tenants can use to keep your appliances working for a longer period of time in your rental homes. By going through a few simple precautionary procedures, you can rest assured that each appliance lives up to its full potential. The first step to keeping an appliance running is something so easy but often neglected– reading the appliance’s manual. A good landlord will provide a copy of all appliance manuals and encourage their tenants to read them. For individual appliances, basic maintenance greatly improves longevity. For instance, refrigerators need their gaskets and coils cleaned on a regular basis. The gaskets are the plastic strip that forms the seal around the refrigerator door. To prevent gapping, take time to wipe down the gaskets a few times a year. Cleaning the coils is also simple; all you have to do is remove the cover and vacuum or use a soft bristle brush. If the refrigerator you have comes with filters, you can ensure that the filters get replaced properly and regularly for your renters by setting up a schedule for it. Dishwashers also need to be maintained periodically and it’s really easy to clean the gasket with soap and water. This helps the appliance stay watertight. Check the filter regularly and remove any debris. You should also make sure your dishwasher is level with the floor. An unbalanced dishwasher would shake and the vibrations could damage both the machines and dishes. On top of maintenance for the mechanical aspects, you can also extend your dishwasher’s lifespan by running a hot water cycle with vinegar or a dishwasher cleaner every few months. 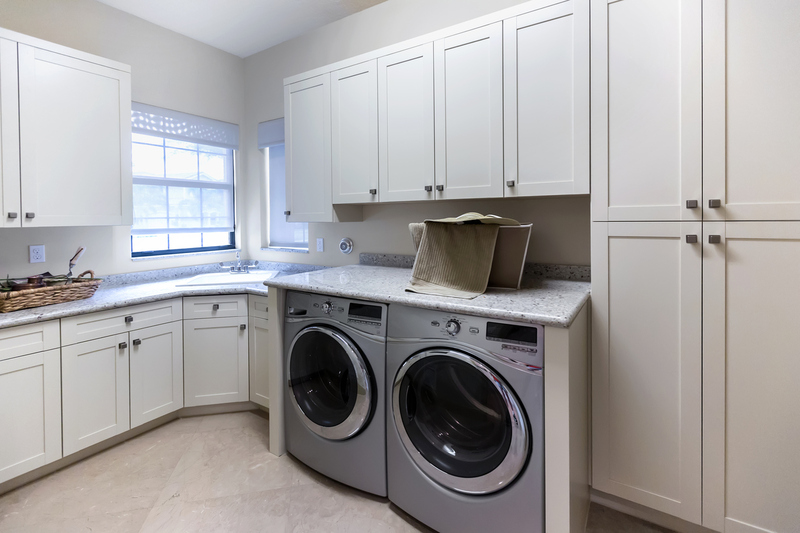 When talking about washers and dryers, proper use by itself already goes a long way toward keeping your units in good condition. Overloading the machines is the typical mistake many people commit and it is one of the major causes of breakdowns and poor performance. Loads that exceed its capacity puts too much stress on the motor, belts, and transmission, leading to rapid wear and tear. Advise your tenants to follow the manufacturer’s recommendations about load size. Along with that, you have to check the dryer vents and clean them periodically to avoid buildup. When lint and debris get stuck in the external vent, it can lead to motor or thermostat failure. And a clogged vent also creates a serious fire hazard. We recommend double checking the vents each time you replace the filters. Although these tasks to maintain your appliances are really simple, they still require you to set aside time and energy. Encouraging renters to help with the tasks is the first step, but checking to see if they’ve completed the tasks can be quite the challenge. Instead, save yourself the headaches and wasted time and money; engage the services of the experts at Real Property Management Eclipse. We give regular property evaluations and maintenance services that include large appliance care, and this lengthens the lifespan of all major appliances and reduces your costs. Please contact us online or call us at 425-209-0252 to learn more.